Accredited degree in cooperation with Toulouse 1 Capitole University. – Parcours Européen, multilingue et multiculturel”. Issuing a Europass “European Bachelor”. The objective of this bachelor is to become a multiligual legal expert able to work in your country or abroad. It prepares students for european and international legal and judiciary careers. Study of French law and comparative law (United Kingdom, Spain, Germany). Mastery of fundamental subjects, guaranteeing access to a broad choice of careers. Introduction to continental legal systems (North America, South America, Asia, Africa, Russia). Perfecting legal methodology and practical application with legal clinics integrated into the course of study. 50% of courses are taught in English. More than 30 visiting professors from international universities and experts from the most prestigious european and international institutions. Law courses in French, English and German or Spanish. International mobility : possibility to participate in a year-long exchange with the ERASMUS+ programme or as part of an international partnership. 8 weeks of mandatory internships over the three years of the program, of which 4 must be abroad (in a company, law firm, institution or summer program…) or in France within an international department. Individual assistance for planning Professional and academic careers. Become an international lawyer, magistrate or in-house legal Advisor… in France or within a European Union member state. Preparation for European civil service exams. 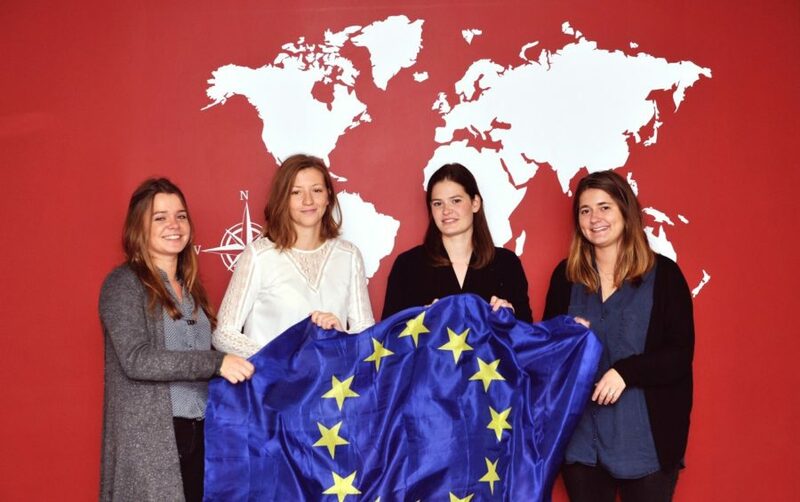 I started the European Bachelor’s programme with the idea to practice law at the international level. It wasn’t so long ago that this goal seemed inaccessible. I am now in my third year of study and I am starting to feel that this dream is within my grasp. I am reassured by the fact that I can take courses in English and that I have the possibility to pursue my studies abroad. This education in European and international law has opened my mind and given me a broader vision of the world around me.